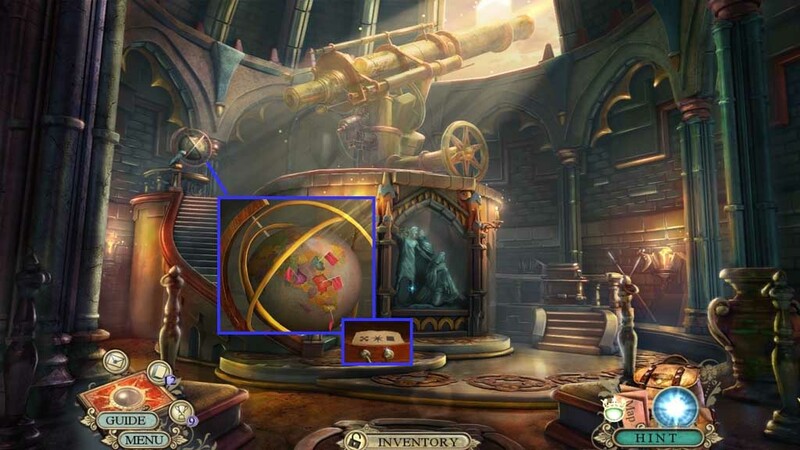 Our Hidden Expedition: The Crown of Solomon Walkthrough will play the part of your faithful companion as you travel the world in search of the scattered pieces of King Solomon's Crown. Trust in our expert guidance, our simple puzzle solutions, and our custom marked screenshots as you race against time to find the crown's fragments before a nefarious criminal gets his hands on it. Click the lever followed by the mechanism. 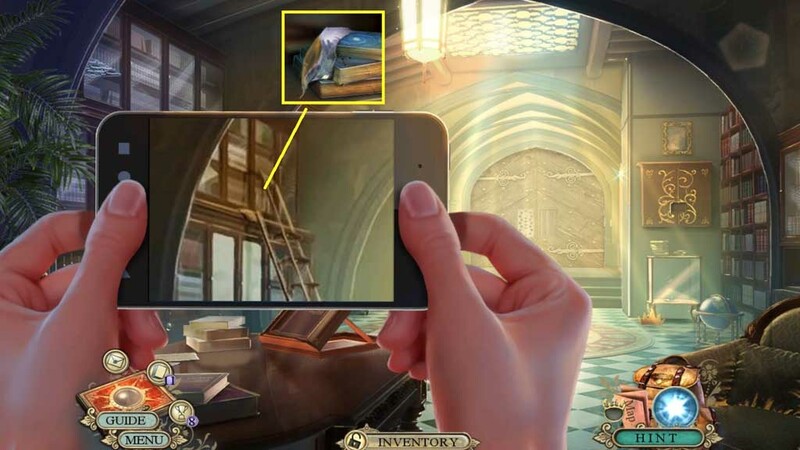 Click the tower to trigger a mini game. 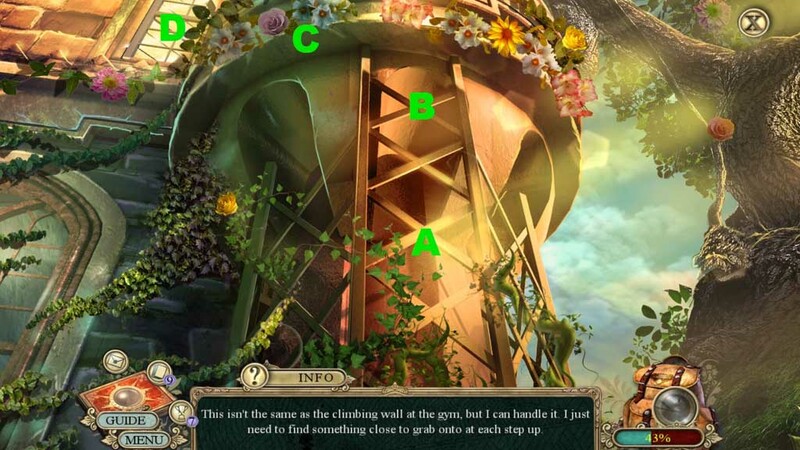 Solve the game by climbing the tower successfully. Collect 13 /20 fact cards. 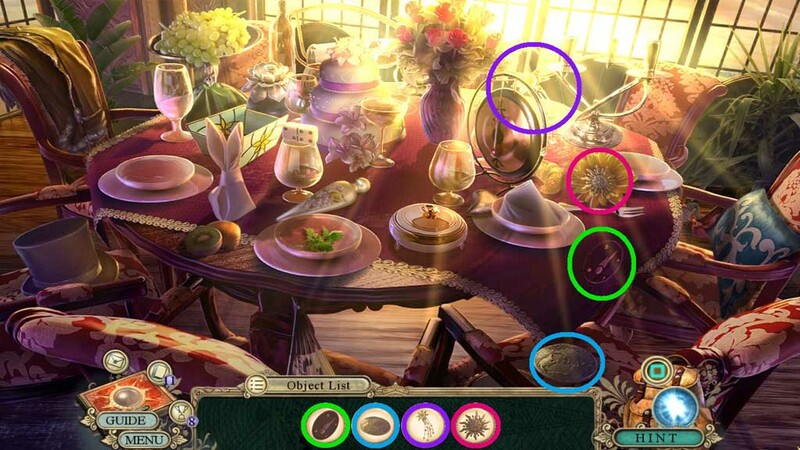 Move the items aside; collect the strainer. 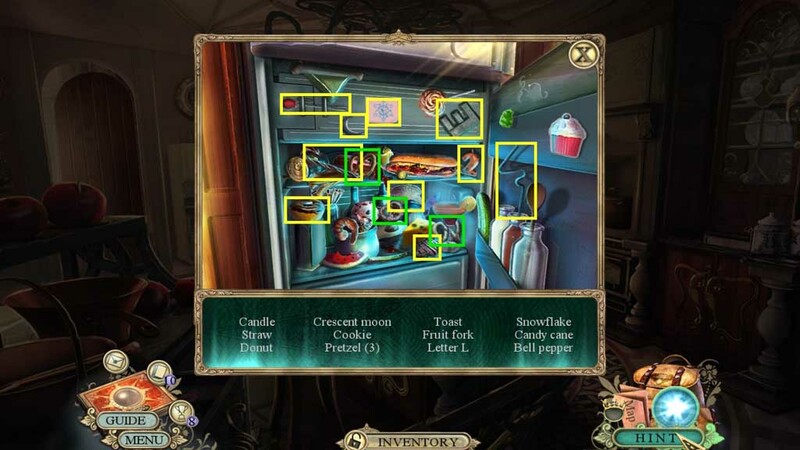 Click the fridge door to trigger a hidden objects area. Insert the crescent moon; collect the brooch. 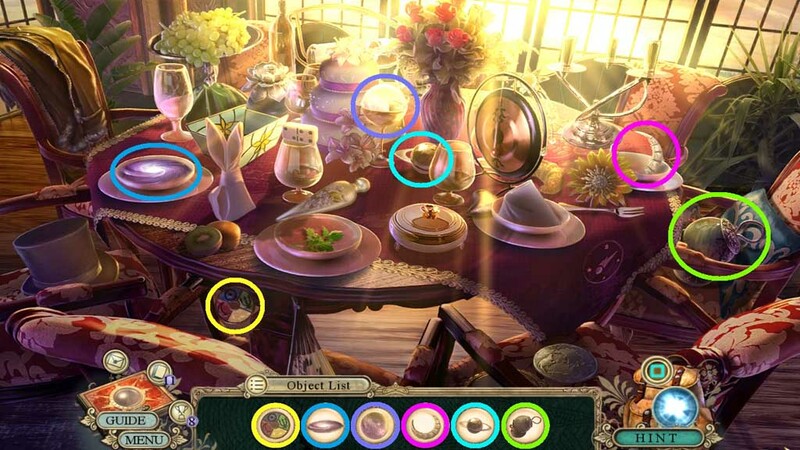 Click the brooch; collect the brooch pin. Click the helmet; collect 1 /3 puzzle discs. 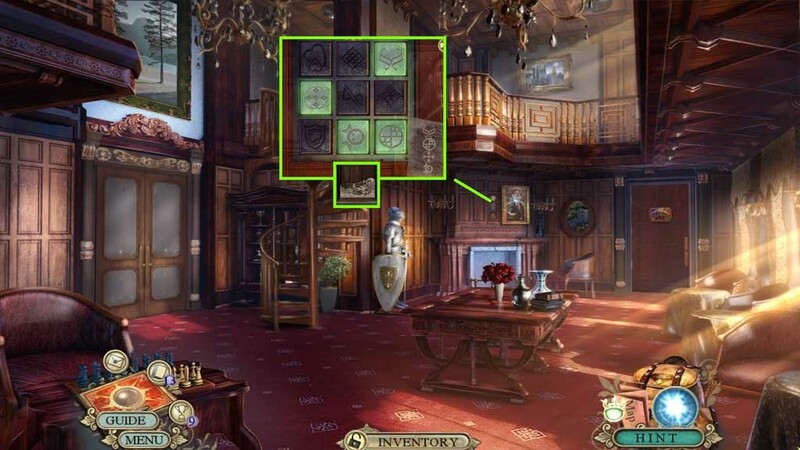 Move down once and enter the Lounge and click the curtains to trigger a hidden objects area. 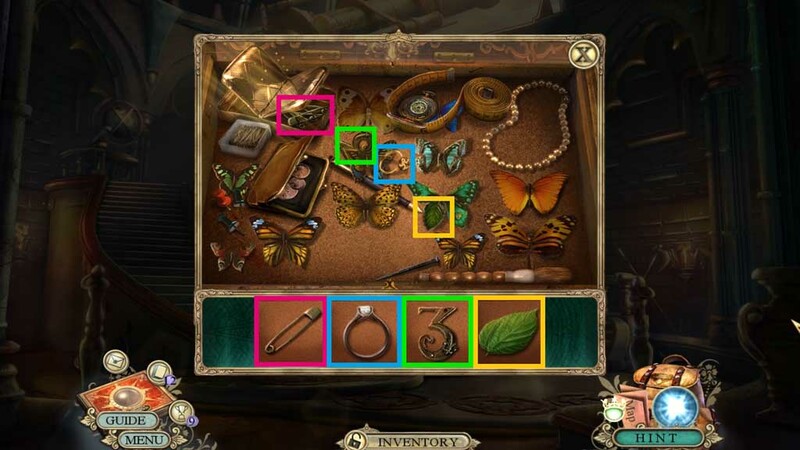 Find the items based on the clues. 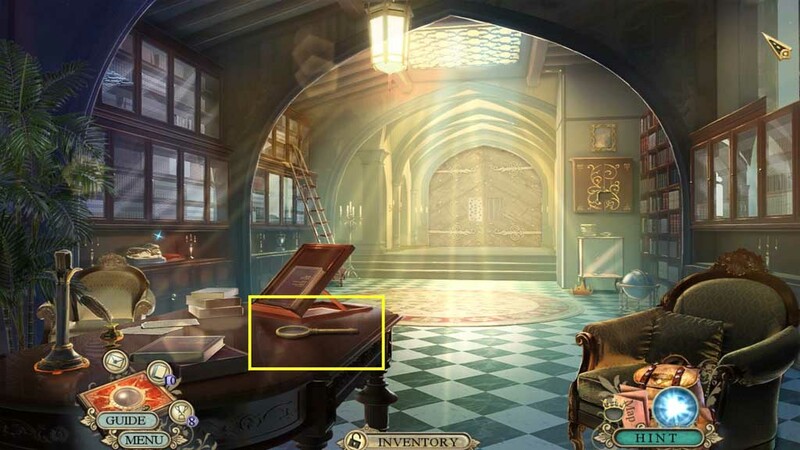 Collect 2 /3 puzzle discs. Collect 14 /20 fact cards. 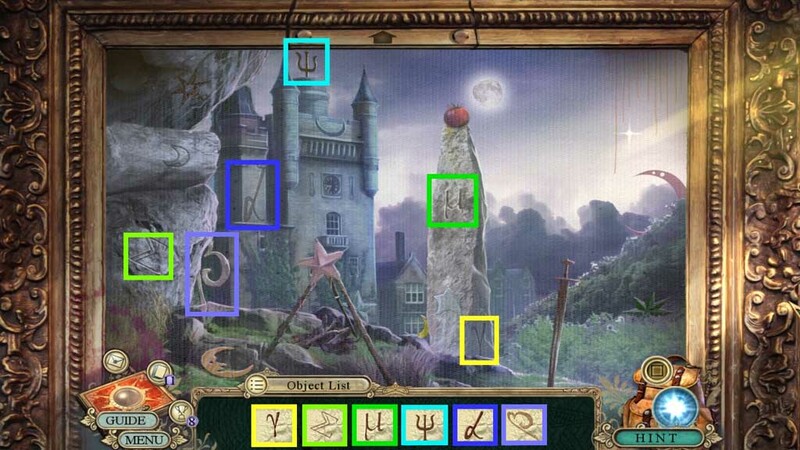 Use the column piece to smash the glass; collect the 1 /3 ancient mural pieces. Collect the tablet and the golf bag. Select the strainer to collect 1 /2 statue parts. Click the golf bag; collect the golf club. Place the brooch pin onto the bag; collect 3 /3 puzzle discs and the golf tee. Click the button, then the lid. 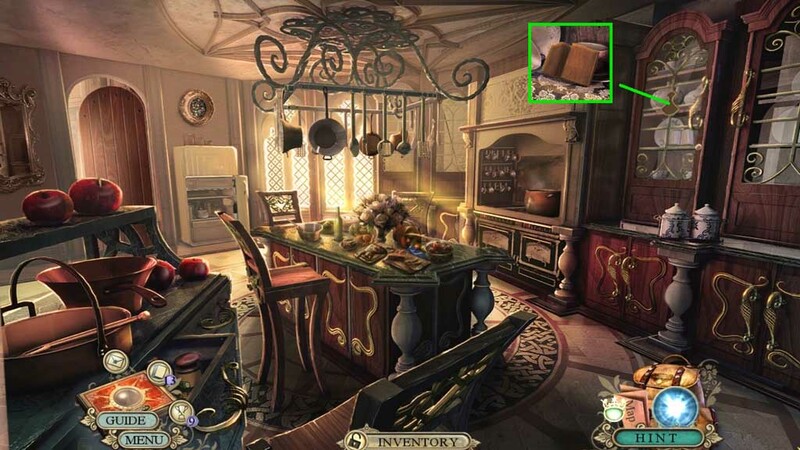 Place the tablet over the steam; collect the steamed tablet. 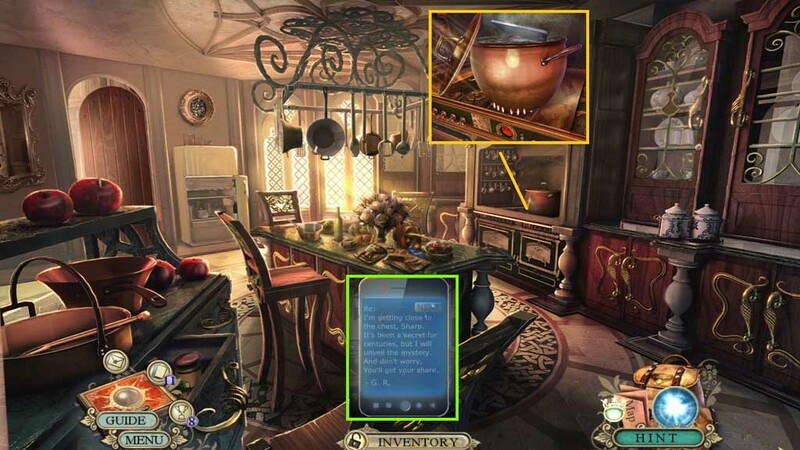 Click the button on the steamed tablet; click 340. Hold up the steamed tablet to the scene. 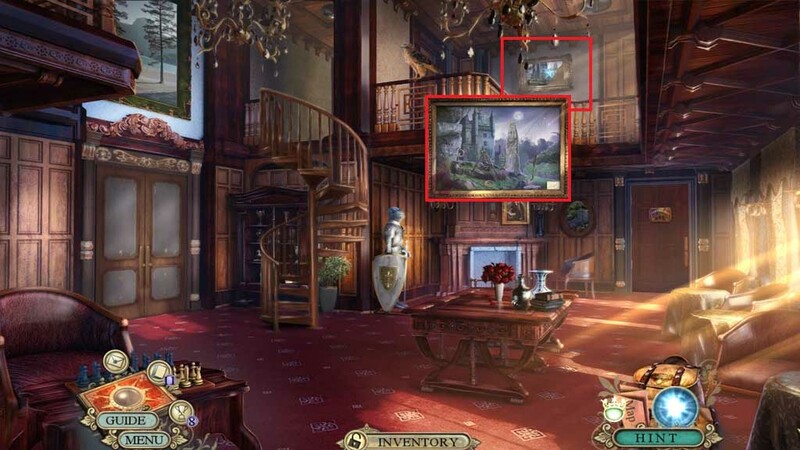 Click the doors; collect the painting piece. 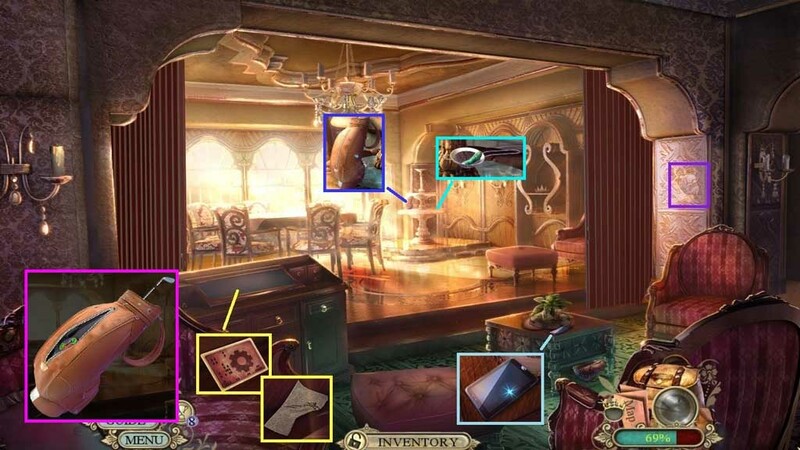 Insert the painting piece to trigger a hidden objects area. 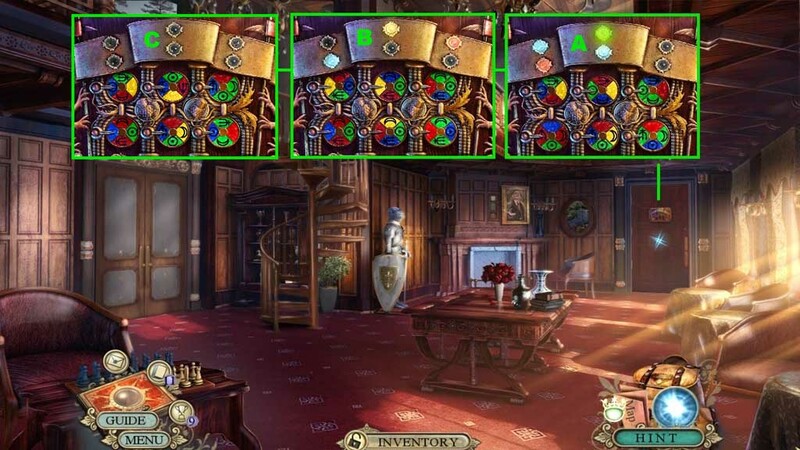 Insert the 3 puzzle discs to trigger a puzzle. Solve the puzzle by arranging the discs so that the arrows are pointing to the correct symbols. 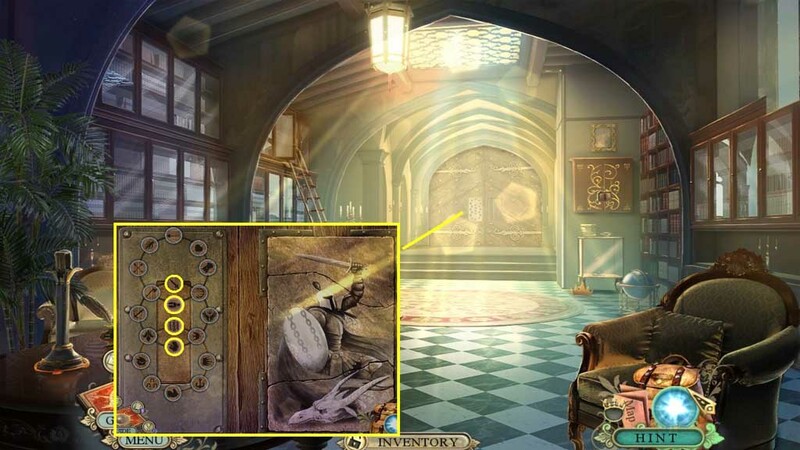 Examine the book, click it closed and move it. Use the golf tee to pry the latches. Click the papers aside and collect the small flag. 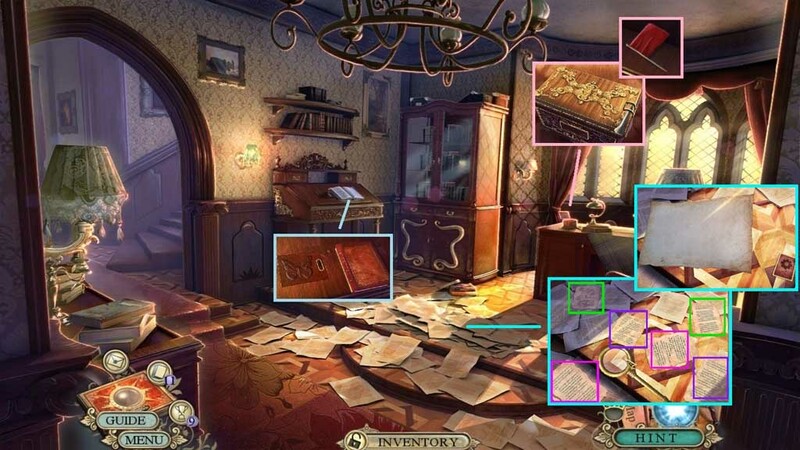 Zoom into the papers; place the magnifier down to trigger a mini game. 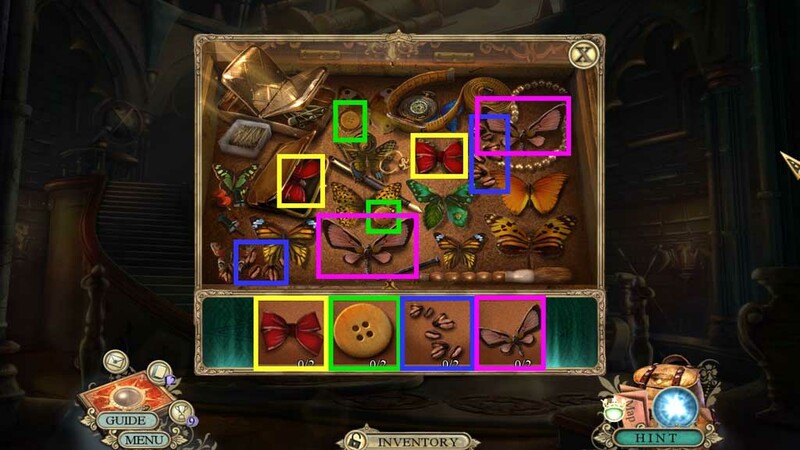 Solve the game by finding the matching symbols on the pieces of paper. Collect the faint paper sheet. Collect 15 /20 fact cards. 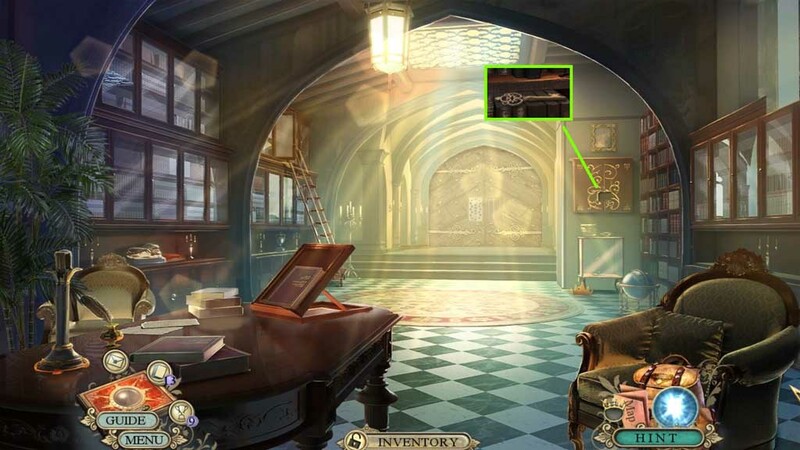 Collect the emerald using the golf club. 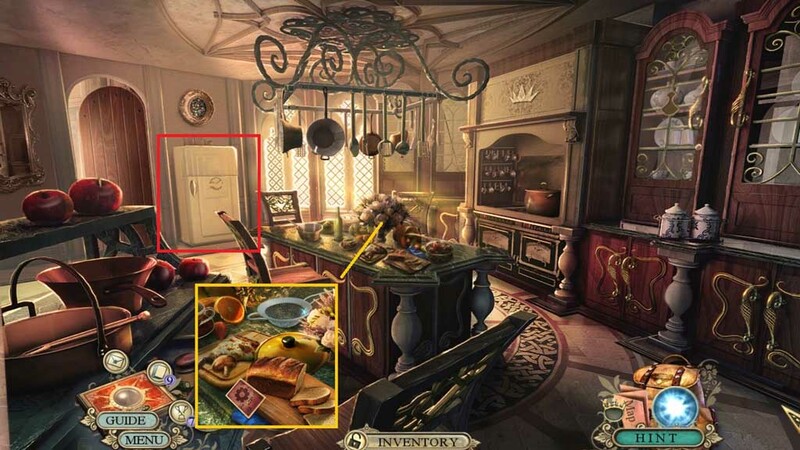 Clear the items to trigger a hidden objects area. Click the spaces where the flags are inserted. 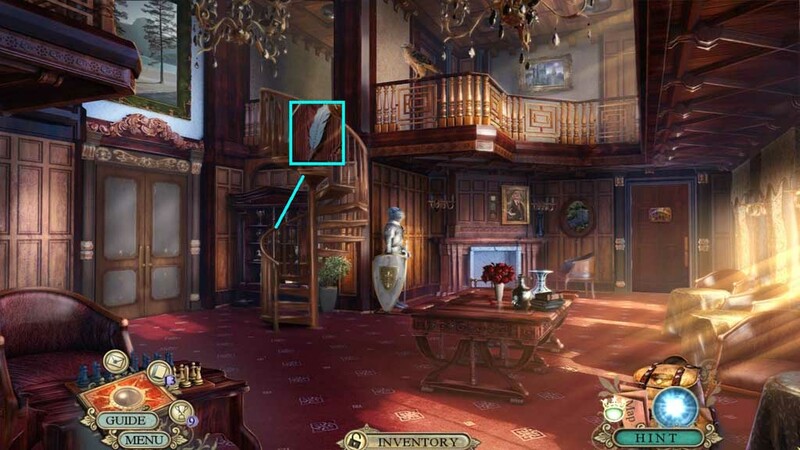 Place the chair clue down; click the symbols and collect the jeweled egg. 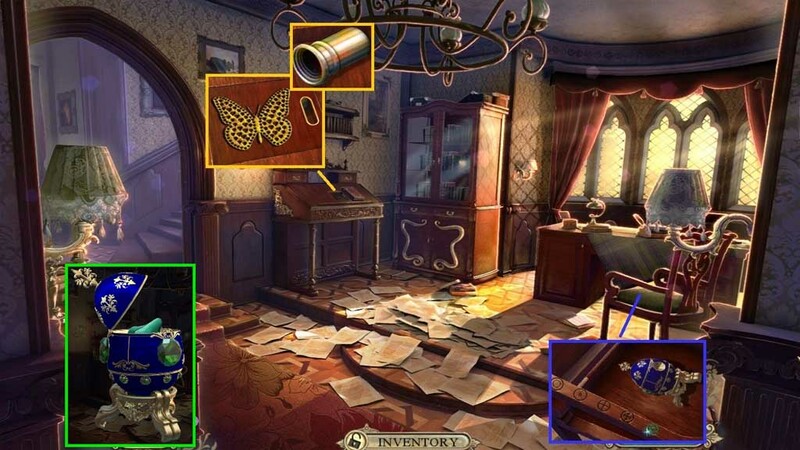 Insert the golden butterfly; collect the telescope eyepiece. 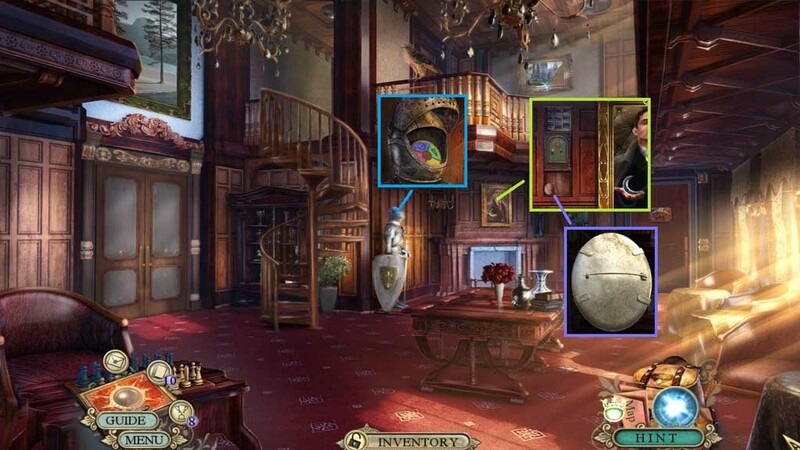 Insert the emerald into the jeweled egg; collect 2 /2 statue parts. Collect 16 /20 fact cards. 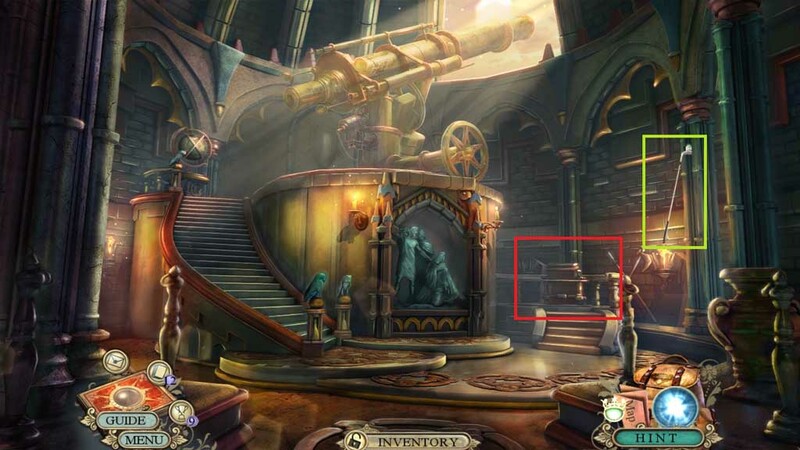 Insert the statue parts; collect the telescope lens. 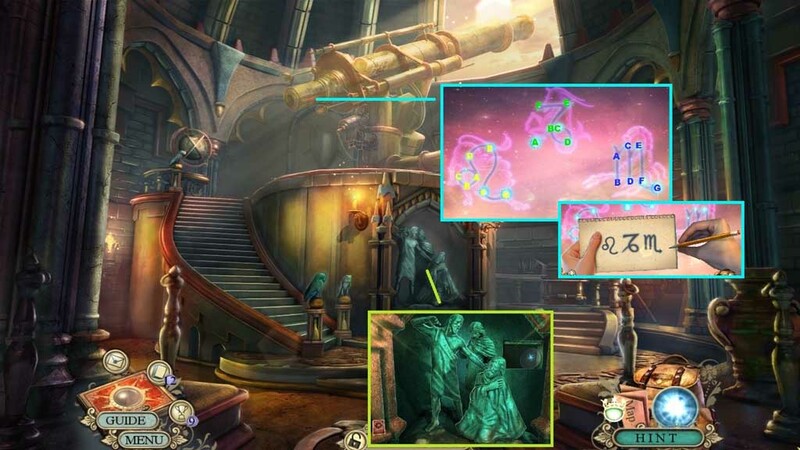 Attach the telescope eyepiece and lens; click it to trigger a mini game. Solve the game by connecting the lines correctly. Hold up the constellation sketch. Collect 2/ 3 ancient mural pieces. Insert the fork symbol; collect the book. 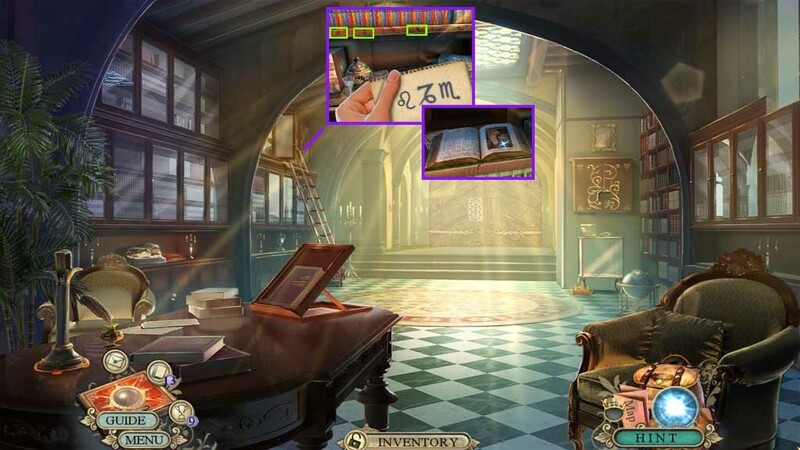 Insert the book emblem; collect the trophy case key. Insert the trophy case key; click it once. Insert the quill emblem; collect the pencil. 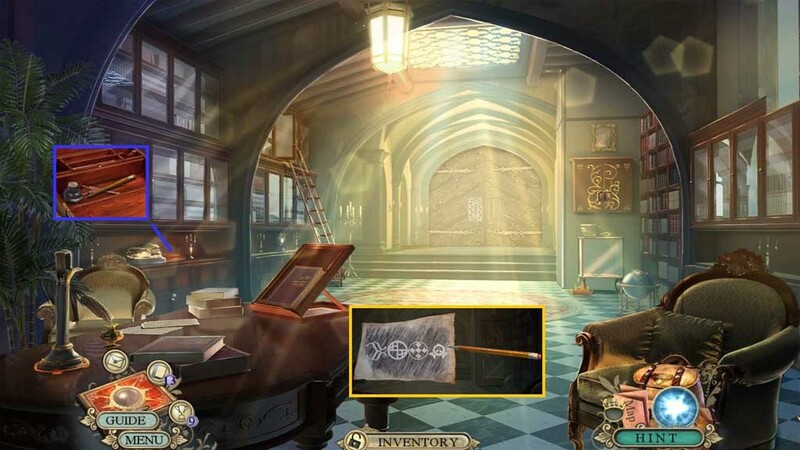 Select the pencil to use on the faint paper sheet; collect the safe code. Place the safe code down. Collect 3 /3 ancient mural pieces. 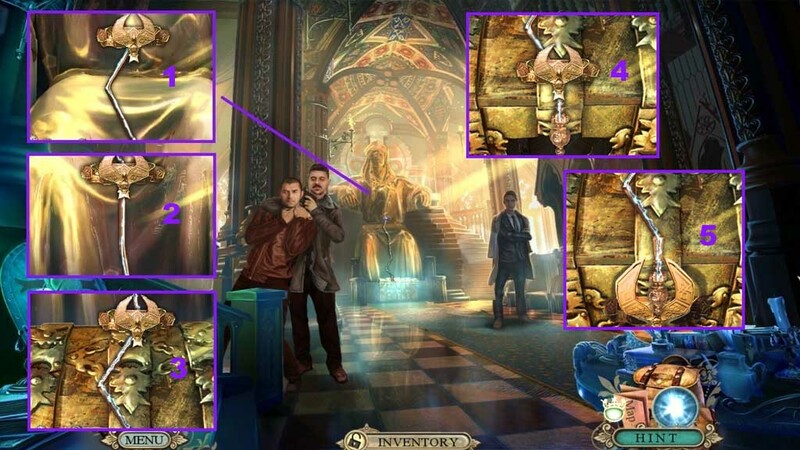 Insert the 3 ancient mural pieces to trigger a mini game. Solve the game by arranging the symbols correctly. Move into the Grand Chamber. 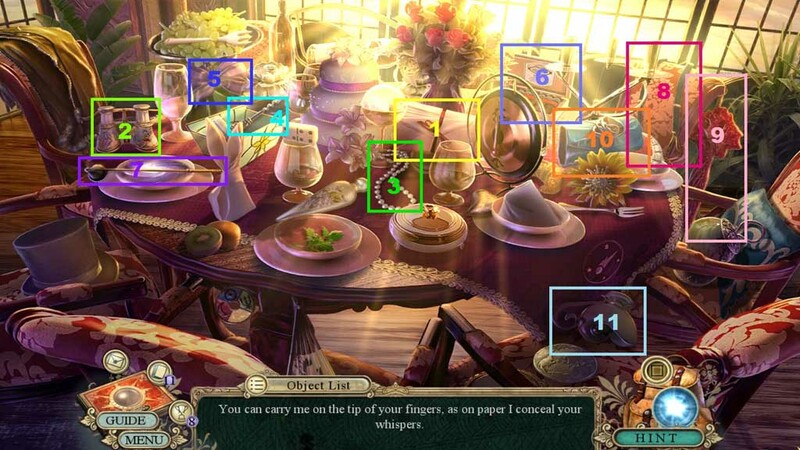 Insert the 2 crown fragments to trigger a mini game. 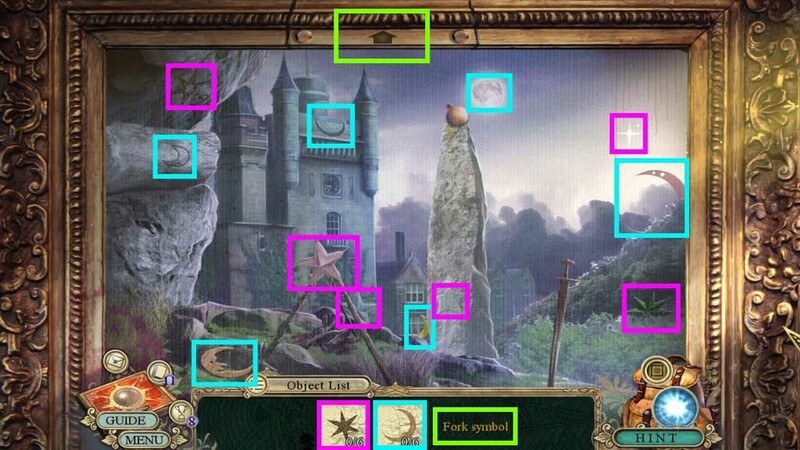 Solve the game by moving the fragments into the correct positions using the arrows. 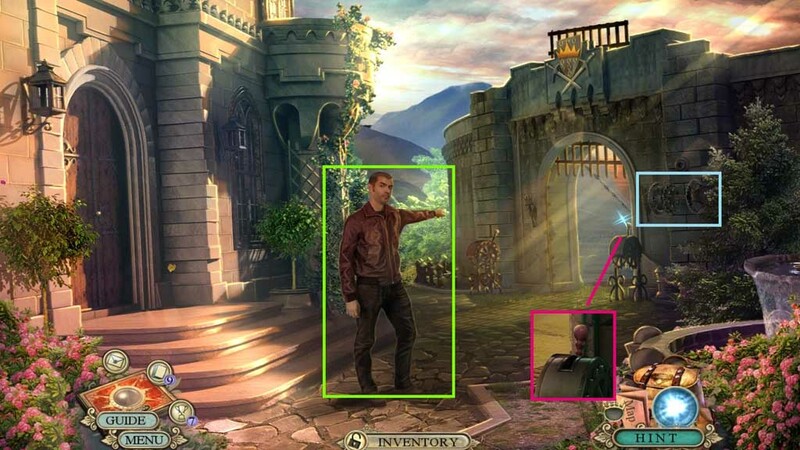 Insert the crown to trigger a mini game. 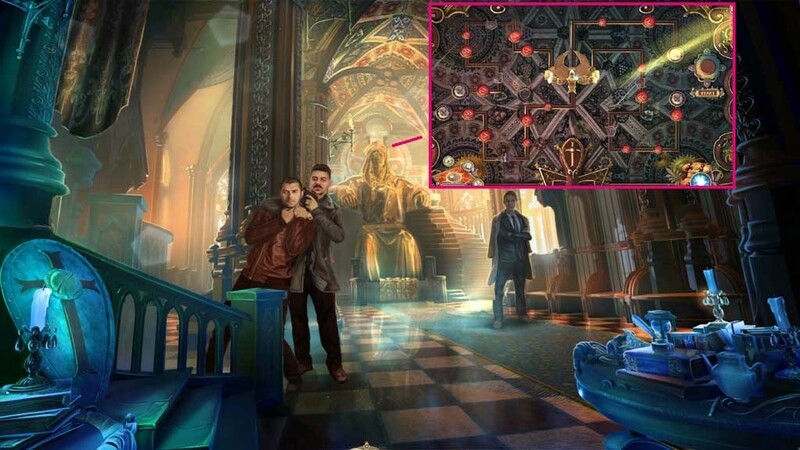 Solve the game by guiding the crown into place without touching the pole. Congratulations! 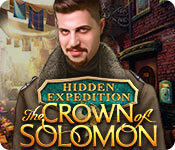 You have successfully completed the main game of Hidden Expedition: The Crown of Solomon Collector’s Edition.